This entry was posted in Podcast Episodes and tagged Black Widow, Captain America, Chris Evans, Chris Hemsworth, Hawkeye, Hulk, Iron Man, Jeremy Renner, joss whedon, Loki, Mark Ruffalo, Marvel, movie, movie review podcast, Nick Fury, podcast, quid pod quo, quidpodquo, RDJ, review, Robert Downey Jr, Samuel L Jackson, Scarlet Johanson, The Avengers, Thor, Tom Hiddleson by Jared. Bookmark the permalink. So, since my phone has been broken and I’ve been using a much older and not as technologically advanced one until I can get a new one (October at the VERY soonest), I haven’t been listening to the show. After reading the tweet regarding the most recent episode (the one with Better Luck Tomorrow), I decided to look backwards on the laptop and catch up. And oh my, I missed a lot. I figured out that this episode is where I stopped….so, I’m going to slowly catch up from here. I’m curious to see the deleted scenes on the blu-ray that is coming out soon to see what parts of the story it fills in. Actually I’d be curious to see a vid pod quo with your review of that. They actually released a deleated scene today! 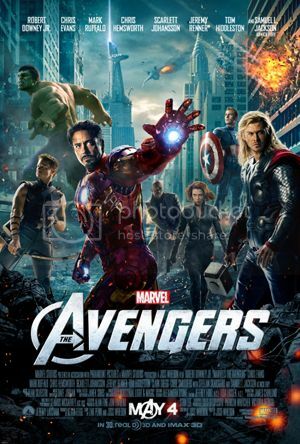 Unfortunately I’m writing from my Nook and can’t paste the link, but just Google Avengers deleted scene. Better? I think not. If you ask me Iron Man (1) was a way more solid story, emotionally more coneectnd, and developed the characters better.The second one was still fun, and again the sound track was awesome, but to say it was better than the first is a bit of a stretch to me. I think the stuff that ended up on the cutting room floor made IM2 a better movie; but then again it’s not fair to compare what is with what possibly could’ve been.